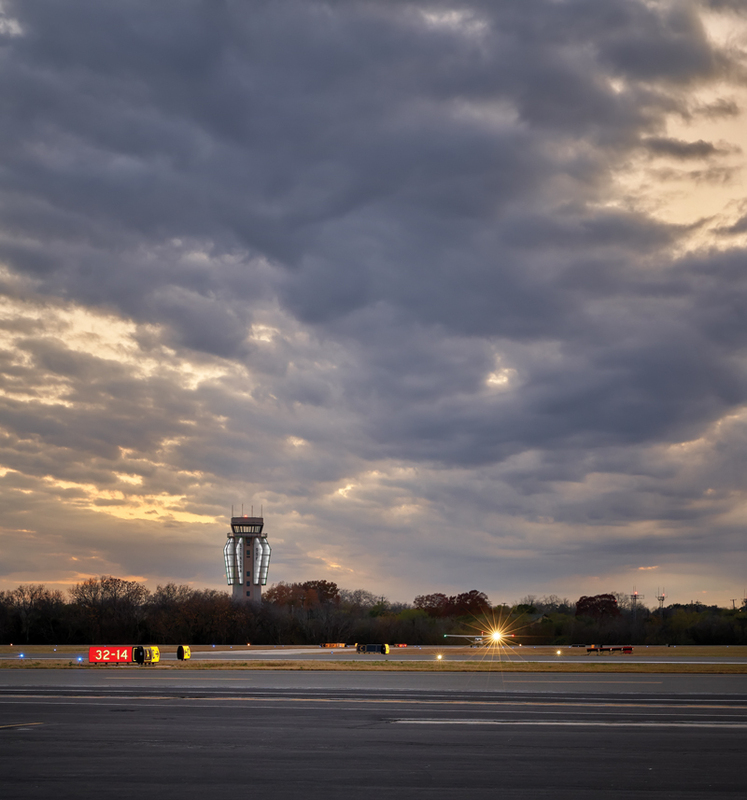 HiWorks collaborated with Work5hop to win a local design competition to turn a new air traffic control tower designed by AJT Engineering into a civic icon. The design references the history of Stinson Field as a training site for World War I pilots and the home of the first woman-operated flying school in the nation with an invocation of early-20th-century aviation. Fabric-clad wing forms attach to the tower structure with a steel armature. During the day, they read as abstract interpretations of biplane wings. At night, they glow with internal LED illumination. Fort Stockton is a town of 8,000 people located off I-10, west of the Pecos River. In spite of its small size, the town has an active community theater that for years has performed in a repurposed brick commercial building. HiWorks assisted the group in identifying their functional needs and developed a concept for how those needs could be addressed architecturally. 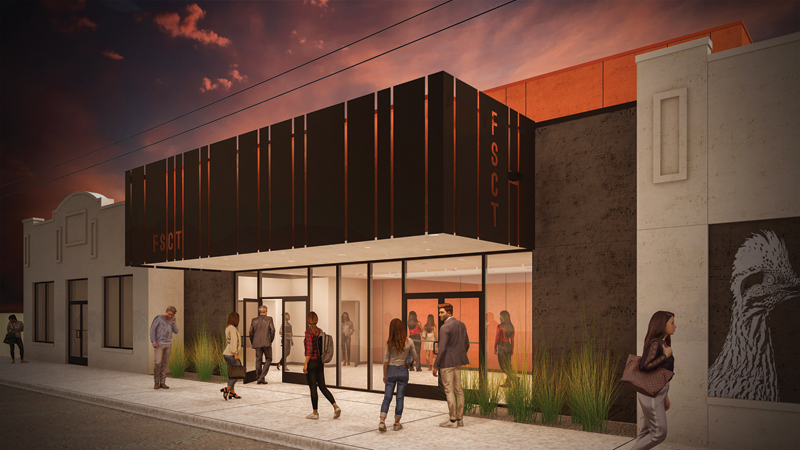 The architects developed a design that reused the existing structure while creating a new identity for the theater that references the existing downtown cityscape as well as the surrounding desert plateau landscape. After witnessing the less-than-enthusiastic response to the Alamo Comprehensive Interpretive Plan, HiWorks developed a hypothetical proposal for an Alamo Museum that grew out of ideas first presented by students in a design studio that Hightower taught at Trinity University in 2013 with Margaret Sledge, AIA. 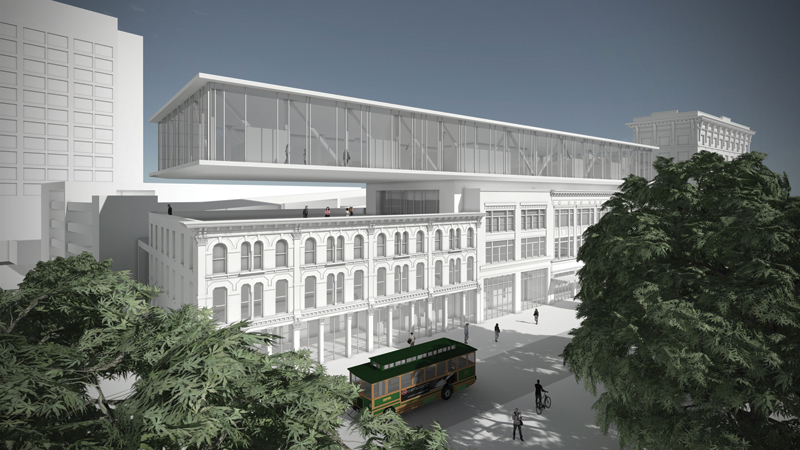 Rather than demolish three historic structures at the western edge of Alamo Plaza to construct a new building, HiWorks proposed a surgical adaptive reuse. Non-historic portions of the ground floor interiors would be gutted, opening up space to reconstruct portions of the Alamo’s original western wall, while additional exhibition space would be housed in a modern volume cantilevered above the historic structures.